My leadership potential was first appraised when I was seconded to a laboratory manager’s role in a paediatric clinical laboratory. Although I felt less-experienced with the handling of complex staffing and operational issues, my total commitment to work and a desire to uphold a high-quality service put me in a vanguard position for promotion among my peers. The success in this brief stint at senior management level was to become the validation for stepping into a more established senior role, and in 2005 I was appointed the manager of the GOSH Newborn Screening Laboratory, the largest of its kind in the UK. As a manager of a screening laboratory of this size, the improvements in service delivery, effective staff management and development of capabilities within and around the wider screening community were key indicators of role success and achieving these goals showcased my leadership brand. Having developed as an expert in the science of newborn screening and with years of management experience, I secured my next appointment as the Head of Newborn Screening with overall responsibility for delivering a well-renowned service provided by a team of dedicated scientists and administrative staff. 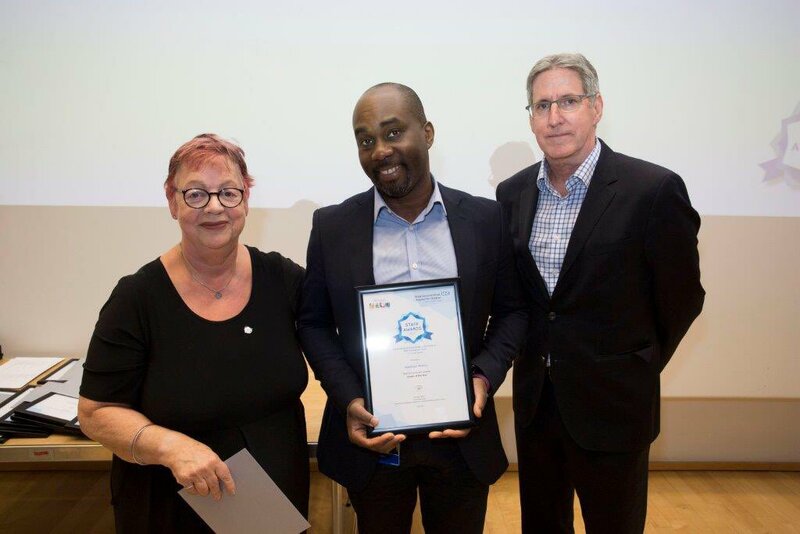 Leading up to my enrolment on the Ready Now programme, I became only too aware of the challenges I faced as a BAME leader navigating through the senior managerial landscape of NHS organisations. Immediately after joining the programme, I realised that I needed to close the gaps in my personal leadership development if I wanted to become an effectual leader. Most notable for me was my limited application of strategic and visionary reasoning – an essential requirement for senior leadership success. A few weeks into the programme, I had begun to broaden my awareness and hone my skillsets for the next stage of this journey. The taught modules and interaction in the meeting groups helped embellish my personal leadership skills and intensified my focus on becoming a leader of change. In the first instance, I realised there needed to be a more inclusive culture for BAME staff in my organisation, especially at the senior management level. The organisational culture expected to support development of BAME staff needed to change from mere lip service to a programme designed to deliver set development objectives. The improved awareness of inclusion now percolates throughout my team in discussions and other engagements and translates to better patient outcomes which lie at the heart of our newborn screening service. The GOSH newborn screening laboratory feels the need to develop a diverse workforce at the more senior management level, in order to be recognised for its wealth of talent. This would stand out against the typical non-diverse senior management that predominates most laboratories of its kind. Discussions within the Ready Now Group and sharing of WRES data has enabled the kind of influence required by my team in the direction of sustainable change. A sense of purpose as a BAME leader where my values, identity and capabilities are fully aligned. Increased awareness of how to approach the development of other BAME staff within my organisation through mentoring and effective engagement. A very viable career development strategy based on better understanding of NHS culture and an improved mindset for strategic and visionary reasoning. An improved ability to network, to create capabilities within the team and developing cross-functional networking which has had a direct impact on the wider screening community, both in resourcefulness and staff engagement towards shared goals. The development of sound leadership reasoning as taught on the programme, which has enabled me to propose changes and the willingness to engage all staff in the process. Wonderful reading. Thank you for taking the time to write this piece. A pleasure Catherine. Appreciate your comments. A wonderful story. Thanks for sharing your journey. Kindly advise me on what programme should I apply for. I studied masters degree programme in Leadership and Management and I work as an administrator in the non-healthcare sector, but I am interested in the career change to healthcare service. You can visit our website (https://www.leadershipacademy.nhs.uk/contact-us/) and fill in a form or you can email enquiries.nla@hee.nhs.uk and someone will be in touch.